DC Abortion Fund (DCAF) is an all-volunteer nonprofit that makes grants to women in DC, Maryland, and Virginia who cannot afford the full cost of an abortion. DCAF affirms women as decision-makers. We hope to make “choice” a reality because we believe that a woman’s right to healthcare should not depend on her wallet. 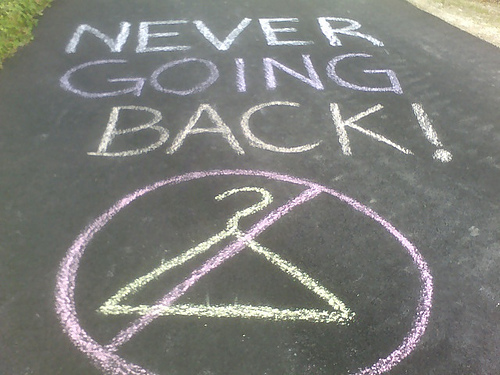 Are you interested in supporting the DC Abortion Fund? Here’s your chance; it’s that time of year again, for the hottest party of the holiday season: the Peace, Joy and Choice Winter Holiday Party! On December 11, we will live it up at Capitale (formerly K Street Lounge), from 6-9pm. Get your tickets now, while they’re still at the early bird rate! It’s not often enough that we get a chance to relax and say thank you to our amazing supporters. So don your fancy threads and join us! There will be drink specials til 7pm, as well as hors d’oeuvres. In addition, 5% of all drink orders go to support our work (in case you needed another reason to toss a few back). And as we know all too well, there is a lot of work to do, so bottoms up for choice! We are still accepting sponsorships. If you or your organization is interested in sponsoring, go here. $20 special web rate – through December 6 only! This venue is 18 to enter, 21 to drink, and wheelchair-accessible. Photo credit alexandralee via the Creative Commons License.